Keep up with the look of your traditionally styled bathroom while adding greater functionality as well using this Winsome Wood Betsy Storage/Organization. The towel rack features a beautifully curved frame that supports the three different towel bars. 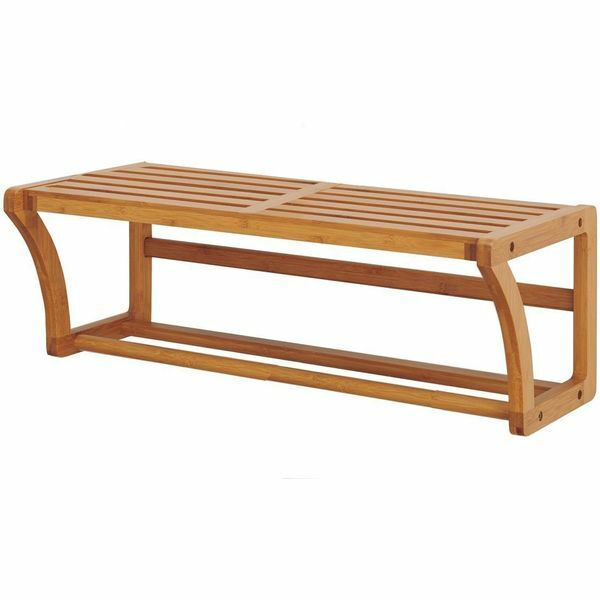 The piece is crafted from solid beechwood given a walnut finish. 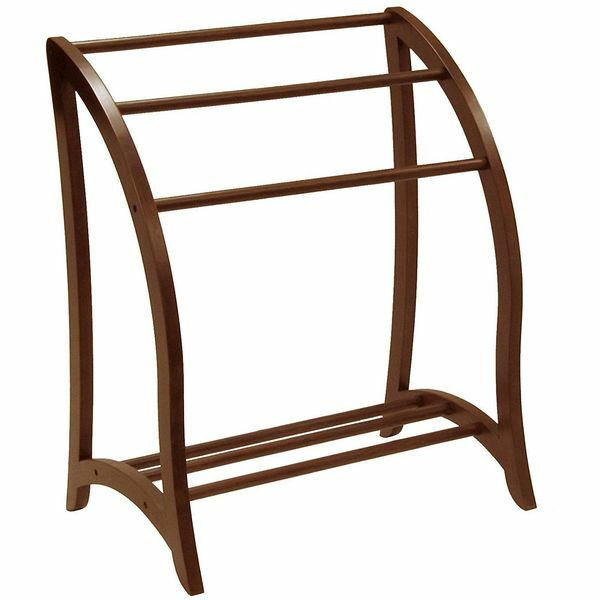 Organize your towels and other bath accessories in a way that won’t clash with your traditional bathroom decor using this Organize It All Natural Bamboo Wall Mounting Shelf with Towel Bars. The storage solution features a shelf on top for storing folded towels and other toiletries and a bar beneath for draping towels for drying. Simple and straightforward, the Design House Dalton Towel Bar allows you to keep your bath towels or hand towels close at hand without cluttering your space. 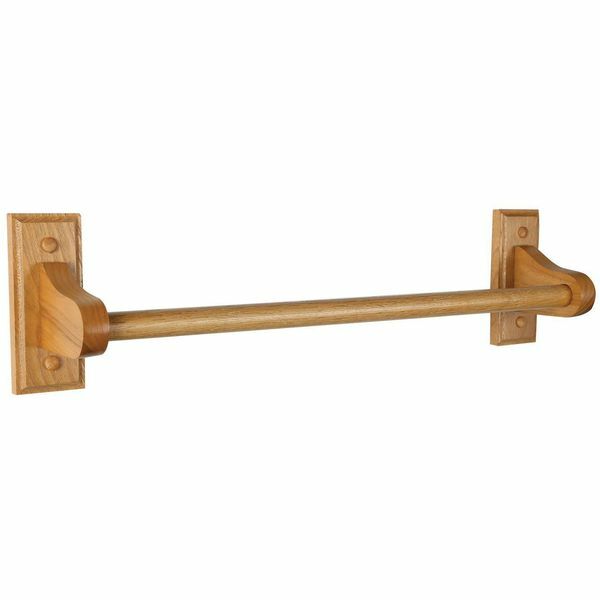 The wooden towel bar measures 24 inches by 3.54 inches by 4.92 inches in size and features handsome exposed screws and plugs. 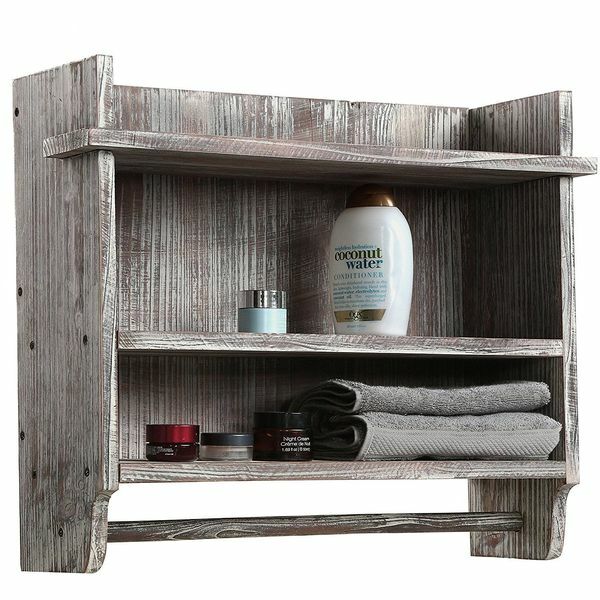 Keep with the theme of your coastal or rustic decor when you include this MyGift Wall Mounted Torched Wood Bathroom Organizer into your bathroom. The organizer features three total shelves for storing folded towels, toiletries and more, while the bar underneath allows you to hang hand and bath towels alike. 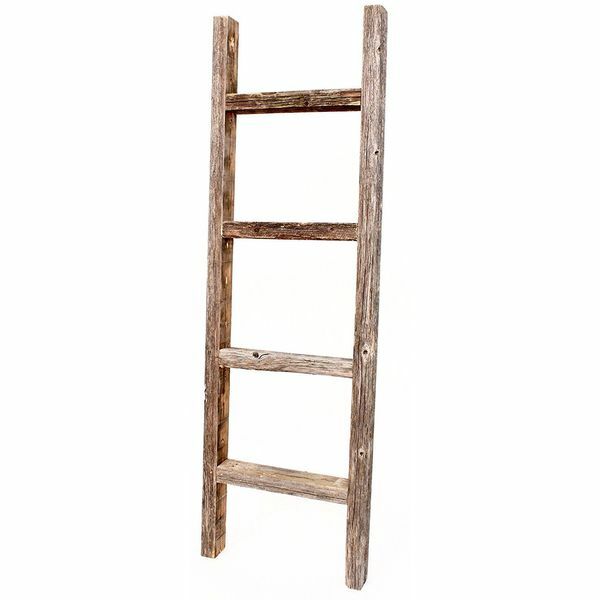 Organize your towels in a way that fits in seamlessly to your rustic or coastal bathroom decor using this BarnwoodUSA Rustic 4 Foot Decorative Wooden Ladder. This ladder features four rungs supported by a frame, all of which features an intentionally weathered finish. It measures 48 inches by 16 inches by 2.5 inches in overall size. 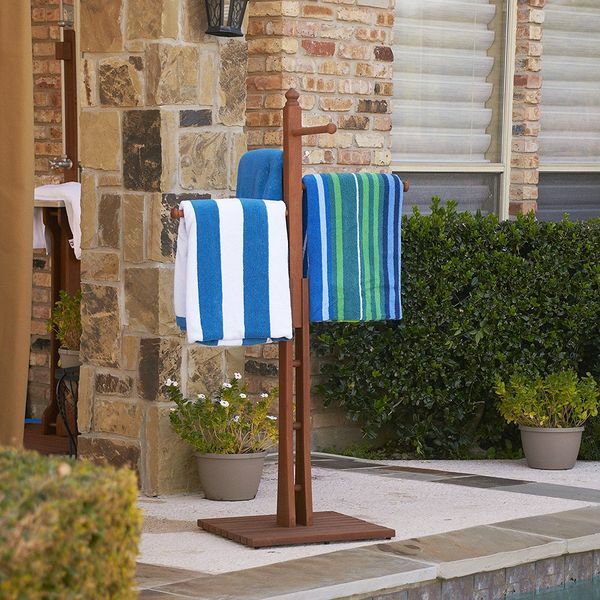 Keep your towels stored and out of the way while also adding decoration to your bathroom or poolside area with the Southern Enterprises Mission Towel Rack. This towel rack features four different rungs extending from a matching wooden base. It is crafted from weather resistant hardwood and won’t succumb to damage from water or humidity.